Get inspired with a day of professional development, Artsmark support, practice sharing, top tips, debate and discussion with leaders and experts representing the diversity of cultural education practice in east London. This year’s Creative Schools Symposium programme includes workshops and activities with: Elmhurst Primary School, Urban Development, Now Press Play, Not Dead Fish, A New Direction, Barking & Dagenham Cultural Edcuation Partnership, London Legacy Development Corporation, University of East London, Sound Connections, Fran Gkotsi, Wired4Music, Sarah Bonnell School, Spark London – and more! A New Direction, Academy of Saint Martin in the Fields, Arcola, Barbican, Barking & Dagenham Cultural Education Partnership, Bow Arts, Community Music, Chingford Academies Trust, Dance Umbrella, Discover Children’s Story Centre, Drum Works, East London Dance, Fourth Monkey, Fran Gkotsi, Green Candle Dance, Green Shoes Arts, Guildhall School of Music & Drama, Iniva, Islington Cultural Education Partnership, London Legacy Development Corporation, Lullaby for the World, Magic Me, Mimbre, Museum of London, Newham Music, Now Press Play, Output Arts, people make it work, Poet in the City, Redbridge Drama Centre, Salmagundi Films, Scarabeus, Serious, Sound Castle, Sound Connections, Sounds Creative Projects, SoundSPARK, Stratford Circus Arts Centre, Studio Wayne McGregor, Tea Dance for Little People, UCL Culture, Urban Development, Vestry House Museum, The Yard, Waltham Forest Music Service, William Morris Gallery. The day will include practical workshops, partnership opportunities and networking with culture, education and funding experts. Lunch and refreshments will be included throughout. Click here to book your place at stratford-circus.com! 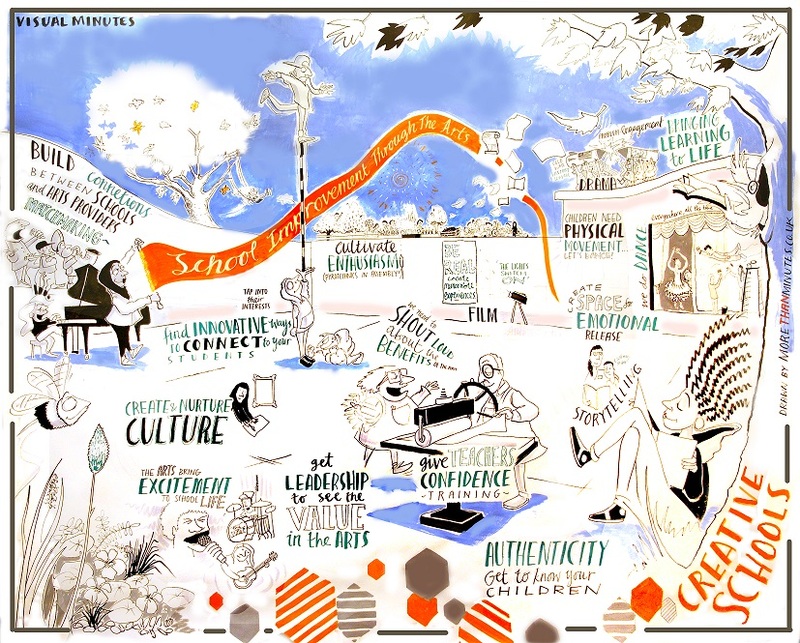 Read all about the 2016 Creative Schools Symposium, which brought together leaders from 85 east London culture and education organisations. The Symposium was absolutely amazing and me and my colleagues were blown away. We had such good fun and it really ignited the spark for us and reminded me why I was so keen to be part of Creative Schools. Creative Schools Artsmark connects east London schools with incredible local arts opportunities that support their school on the journey to achieving Artsmark. You can get in touch with us with any questions at hello@creativeschools.london.